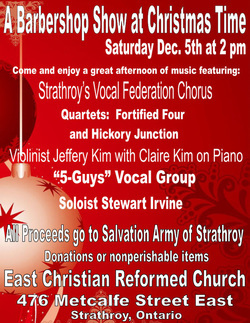 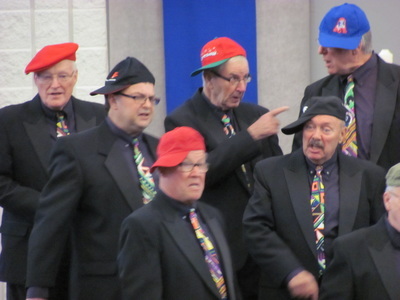 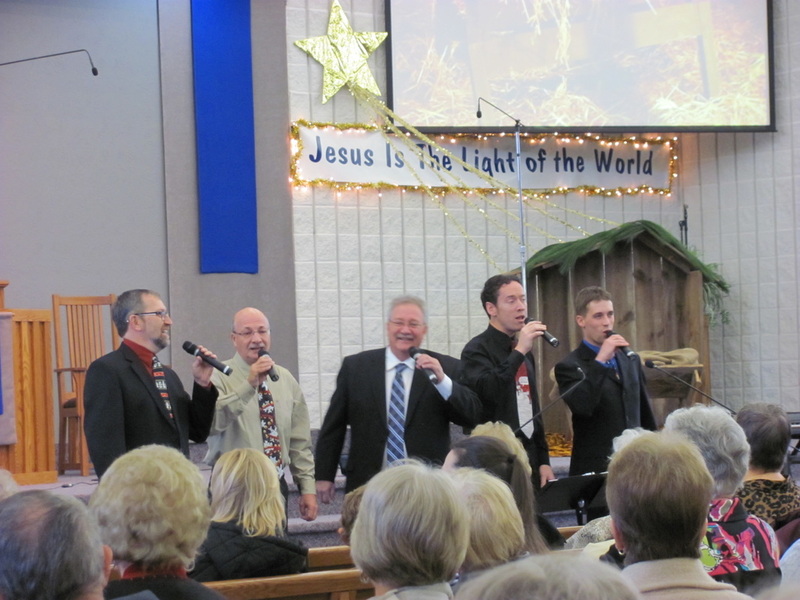 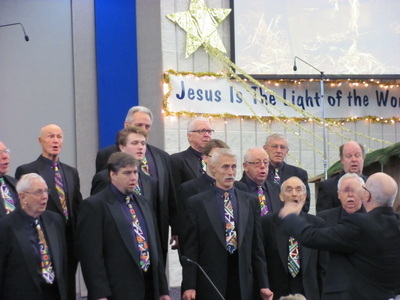 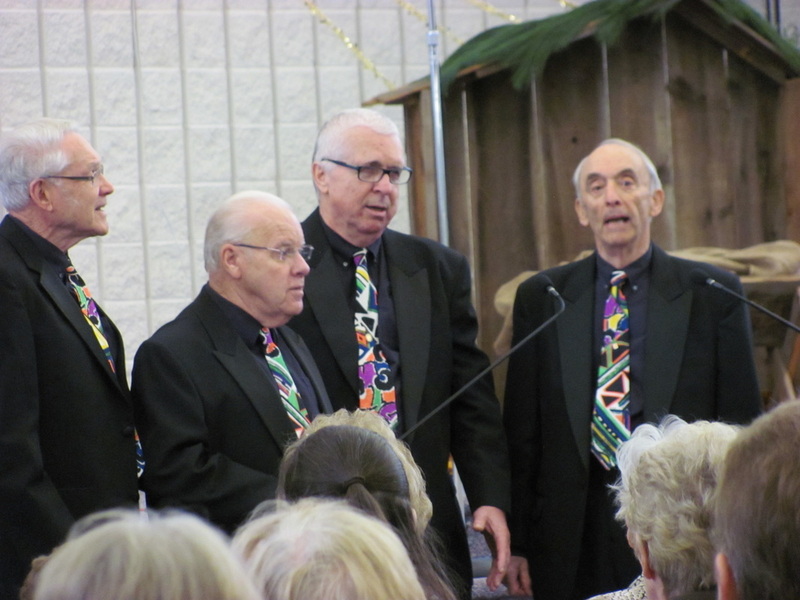 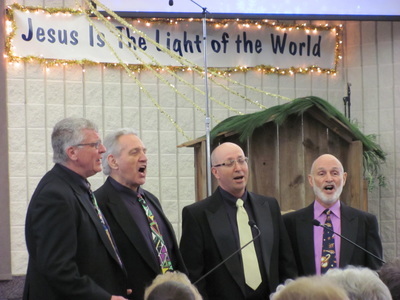 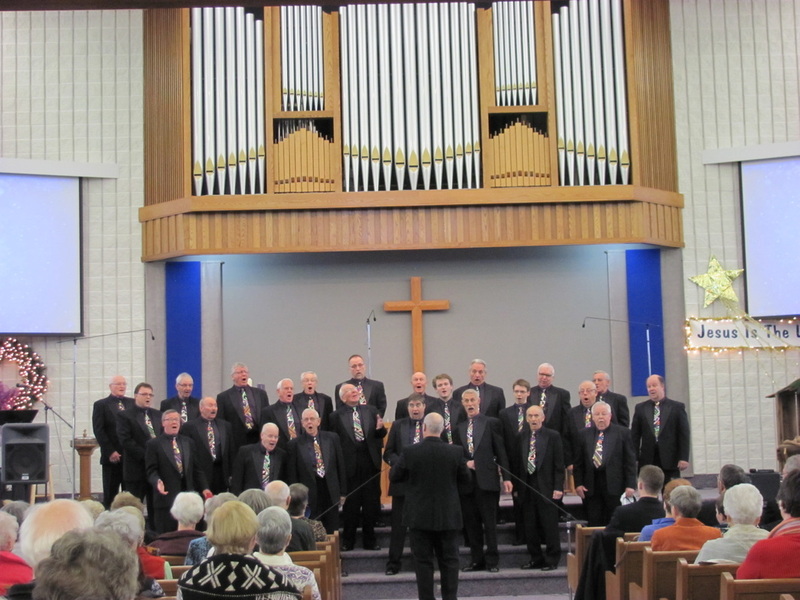 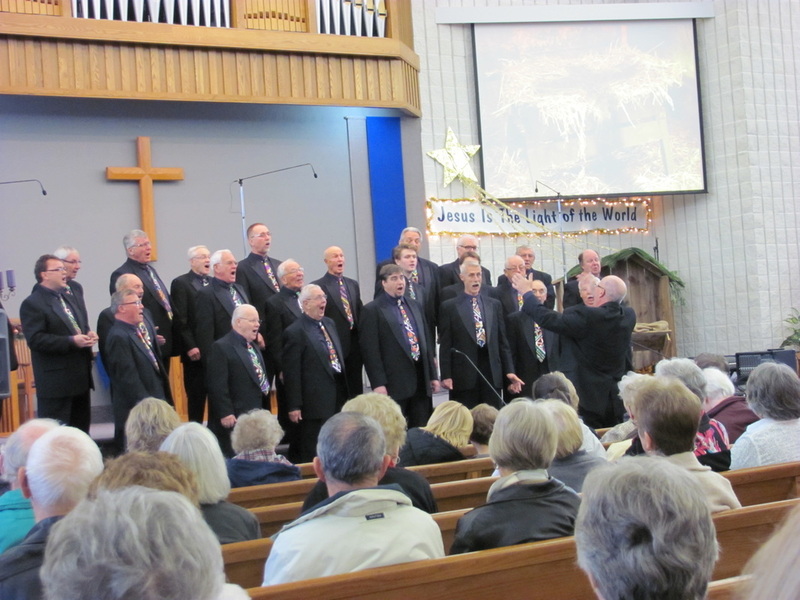 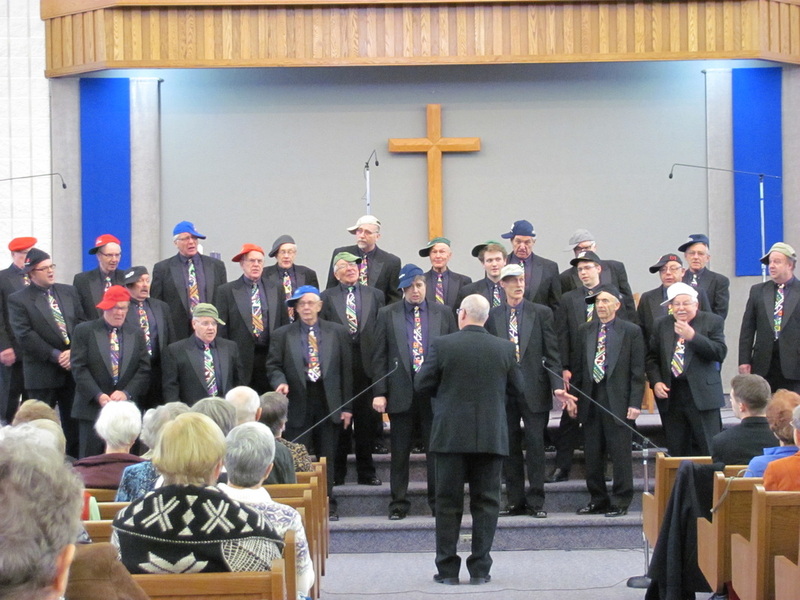 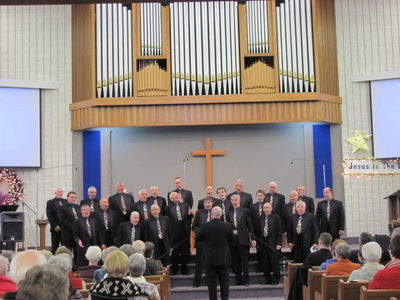 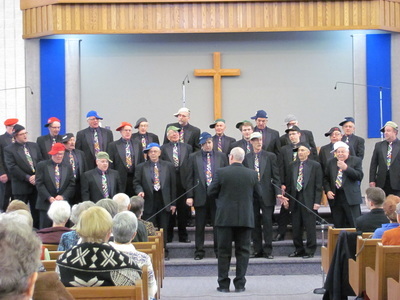 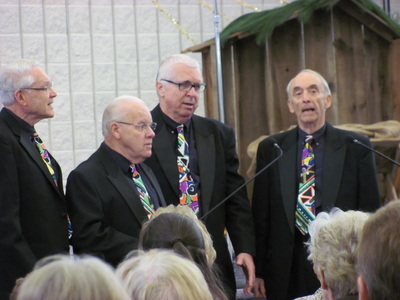 ​On Saturday, December 5th, 2015, at the East Christian Reformed Church in Strathroy, Ontario, the Strathroy Vocal Federation held their annual Christmas Benefit Concert. 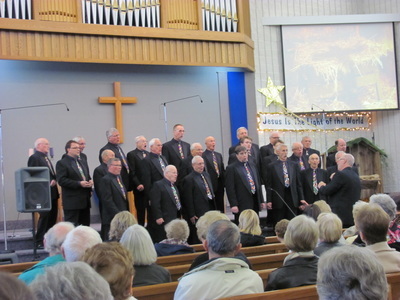 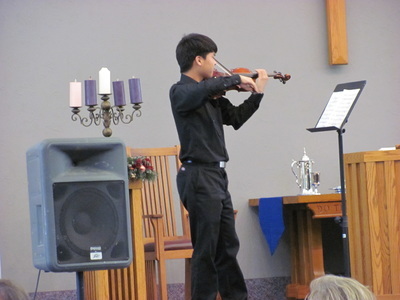 It was well attended and after the concert, the Federation was able to hand over to the Salvation Army of Strathroy, a sum of cash that was in the neighborhood of $1800. The poster on the left gives you a list of the performances that were enjoyed and pictures taken by Mrs. Margaret Madill of those performances, can be viewed below. 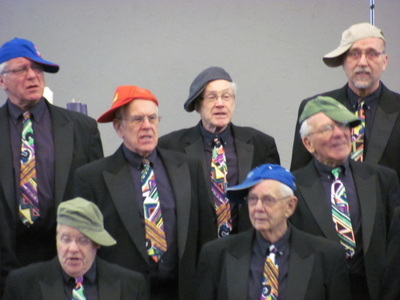 Thank you Margaret!